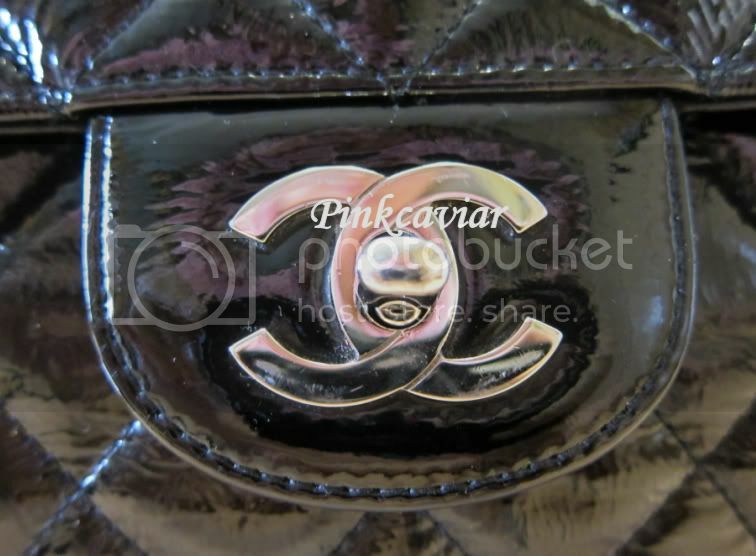 Up for auction is ONE(1) Chanel Jumbo Patent Flap in distressed leather with silver hardware. 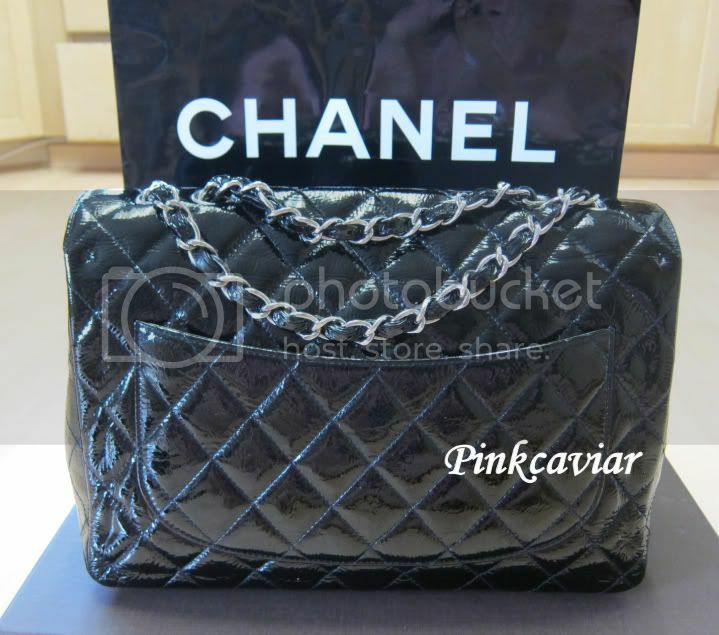 Fabulous and chic, this timeless icon is a staple to any wardrobe and an investment piece. 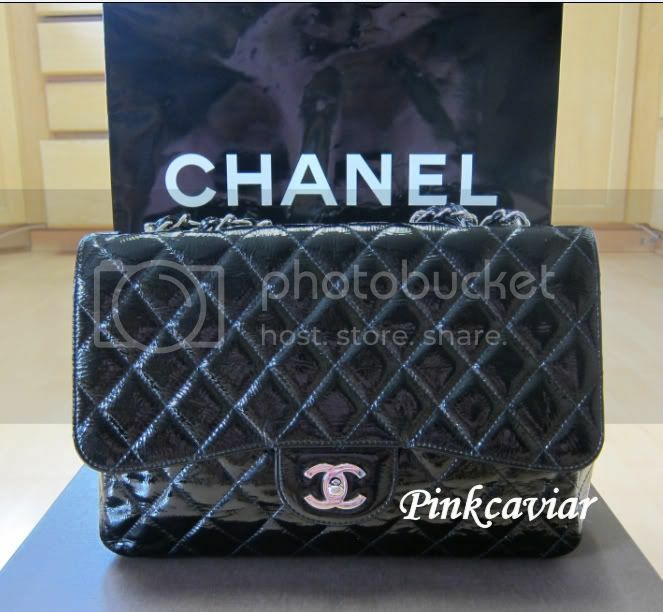 Chanel has been increasing their prices and here is the opportunity to grab one way below retail. 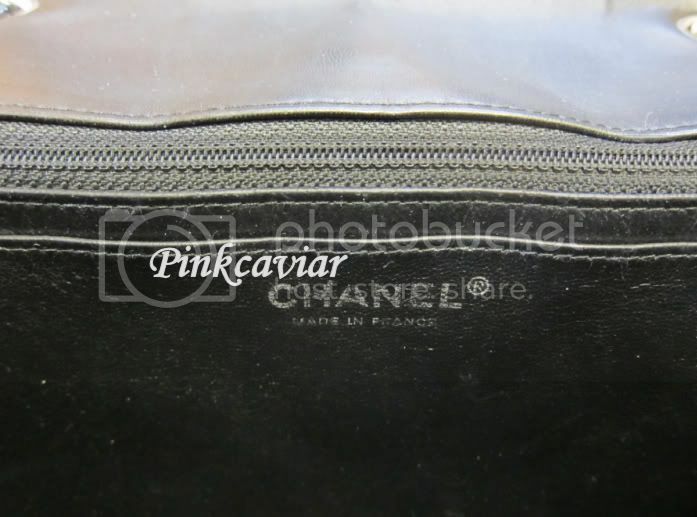 Purse is Pre-Owned and was purchased directly from a Chanel boutique in 2007/2008. It is in VERY good condition. 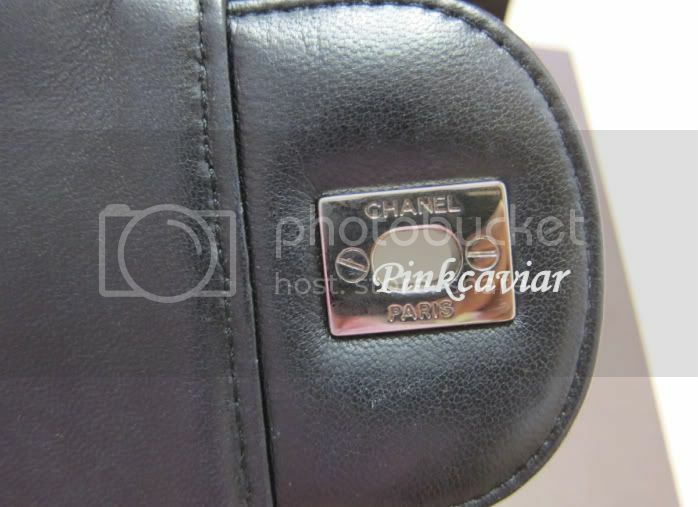 The interior, it being leather, has been reconditioned ("refreshed" by Chanel. I would rate it as 9/10. There are NO rips, discoloration, fading odors or stains.
. 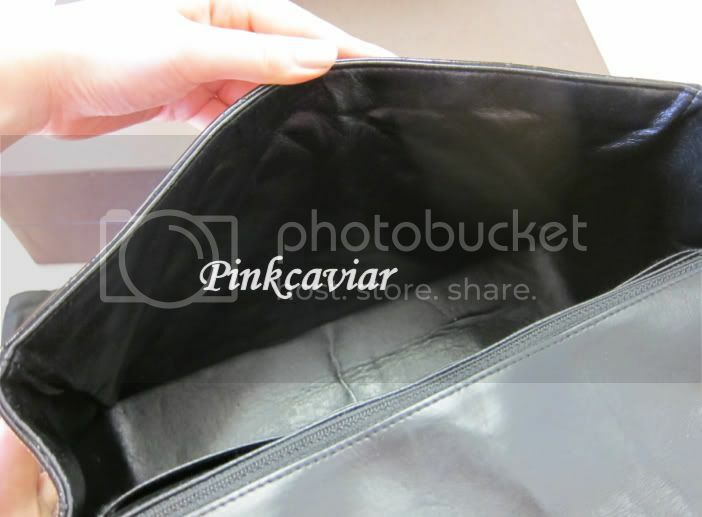 If you're in the market for a brand new flawless mint purse, please don't buy used! If you prefer something in ALMOST pristine condition, this might be it! 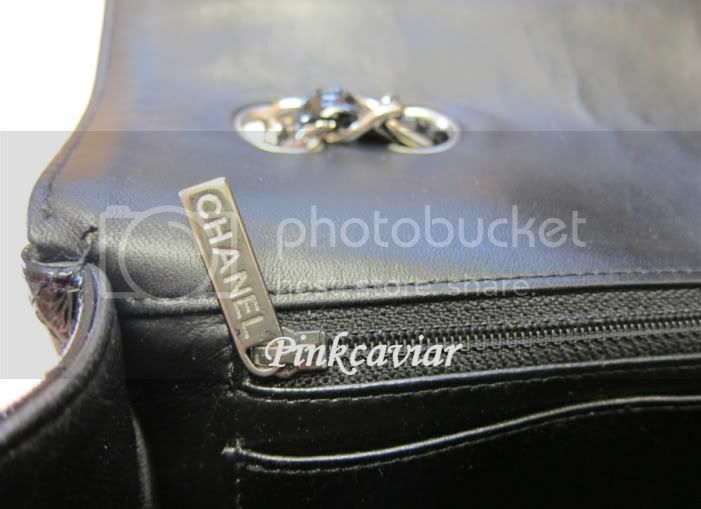 Please review pictures thoroughly, I don't use stock photos, so what you see is what you'll get! If there's a certain angle you like, please contact me, I try to be accommodating to getting pictures. 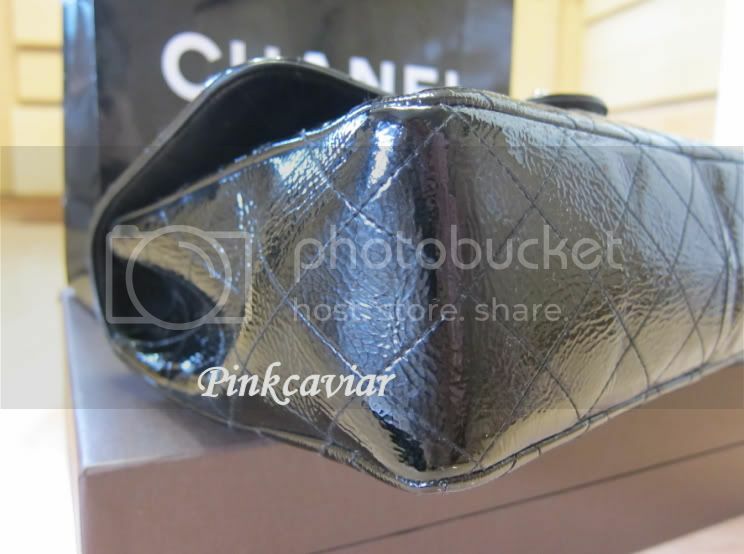 Purse comes with the original Authenticity Card and dust bag. Box NOT included. 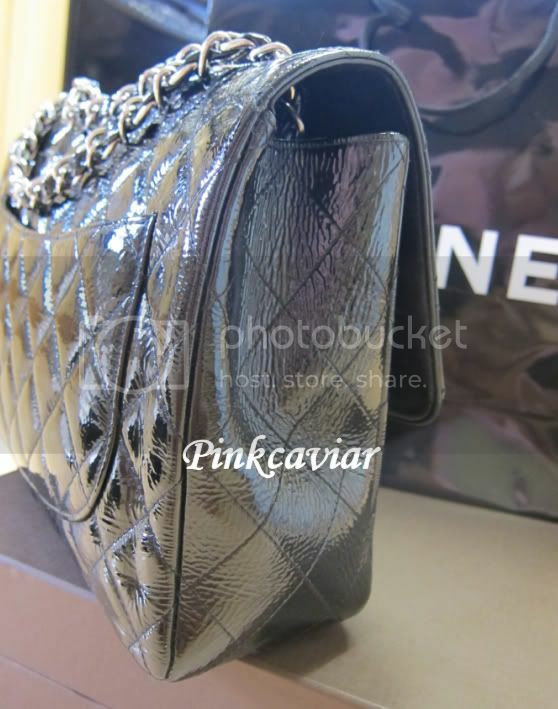 Please Note: Any glare or pinkish sheen is due to the reflection of the camera. 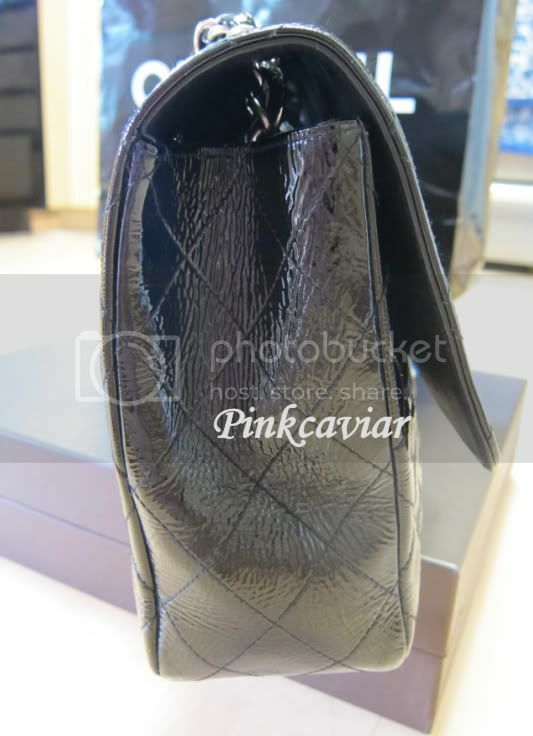 The purse is solid black patent. 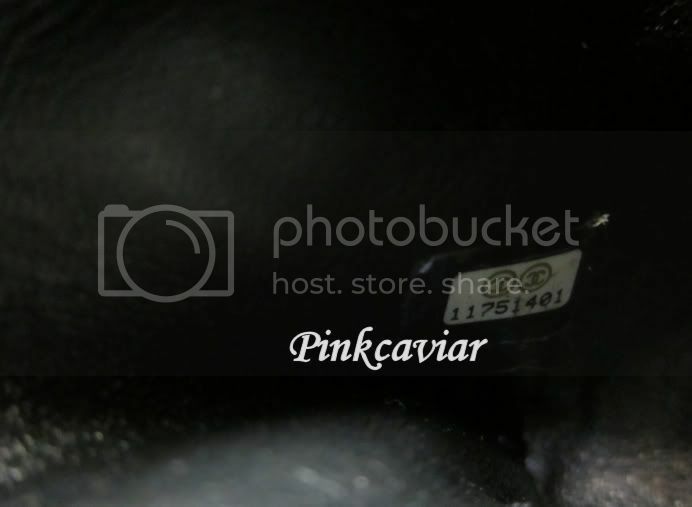 Please review pictures thoroughly and examine the condition, I don't use stock photos, so what you see is what you'll get! If there's a certain angle you like, please contact me, I try to be accommodating to getting pictures. 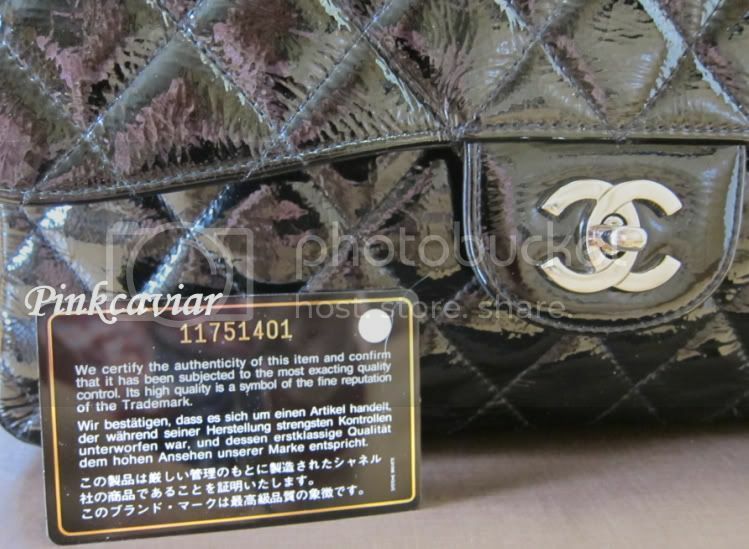 Chanel Interior Stamp, slightly faded due to reconditioning of the leather by Chanel. 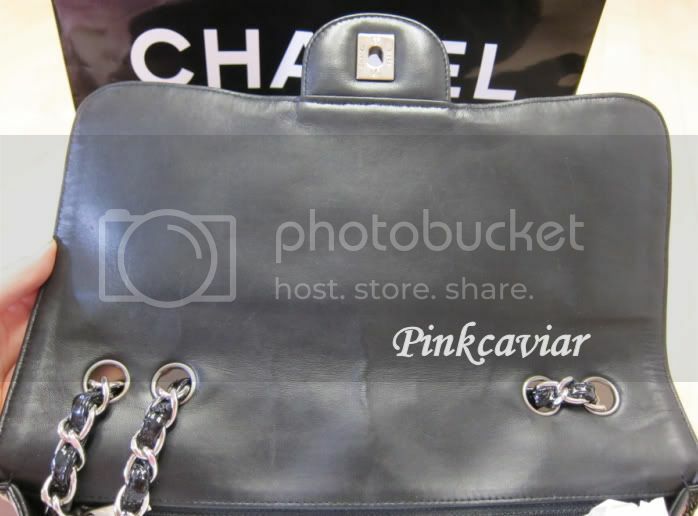 Rest assure, this purse is 100% Guaranteed Authentic or your money back.